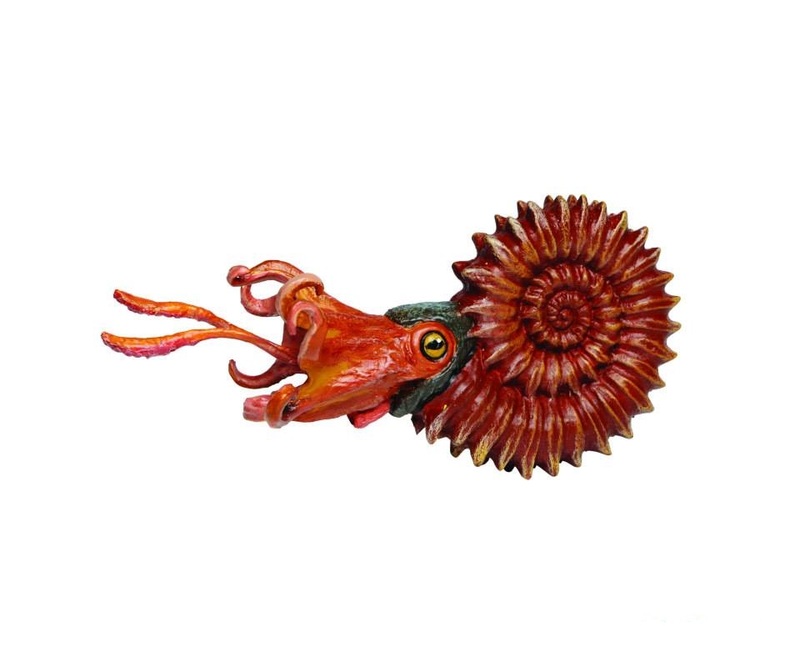 The Safari Ltd Ammonite model is definitely a predator, with its large eyes and with its two longest tentacles striking out to grab prey. The replica is posed in the typical attack pose of a Cephalopod, the same pose is seen in octopi, squid and cuttlefish today as they strike out at prey. Tags: 2014, Ammonite, wild safari.